The copy LiP reviewed is a backer reward from the Bingo Love Kickstarter campaign in Spring 2017. 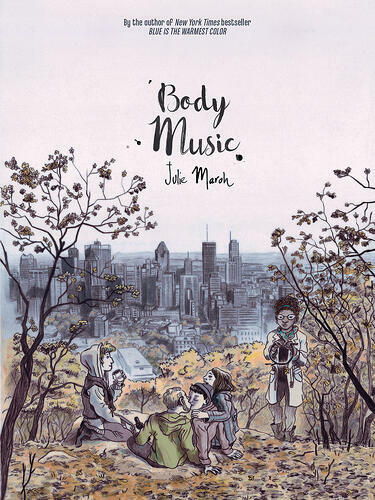 Since then, Image Comics picked up the book for wide distribution and it will be in stores for Valentine's Day 2018! Pre-Order from your local comic shop! BINGO LOVE is the heartwarming, second-chance, family-centered romance I hoped it would be. It's just under 100 pages, but the story spans over 70 years, from the time the two protagonists (Hazel and Mari) are young teens to their last breaths. It's effortlessly inclusive and tells us just enough about the secondary characters to have me impatiently waiting for the promised digital shorts that will follow. In addition to a central romance that made me cry three times (it's so sweet! that's so unfair! they're getting the happiness they deserve! ), the comic is full of the little gems that I love to find in comics, like repeated panels. One such panel is of the Hazel and Mari's linked pinkies. We see it when they're first friends, when they get together, when they're reunited, when they're older and watching their grandbabies. *swoon* Each time, their hands are slightly different, slightly older. It's a thoughtful touch that strings the narrative together nicely. St. Onge did a fabulous job with the art, moving the characters and their settings through the decades with subtle and not-so-subtle details. Outfits, furniture, and color palettes change, but so do the characters' physical appearances. They gain wrinkles and freckles. Their hairstyles and colors change. When we see the future? There are technological advances that I won't share due to spoilers. You'll have to read to see them. Though some of the dialogue is a little on-the-nose, it felt like a realistic depiction of the ways in which queer relationships were (and still are) treated by a lot of people. Centering the narrative on a church bingo game brings the religious message to the fore early on and highlights the ways in which communities have changed as time passes. We see Hazel's children examining their preconceived notions about their mother and her happiness, and it's a beautiful thing. 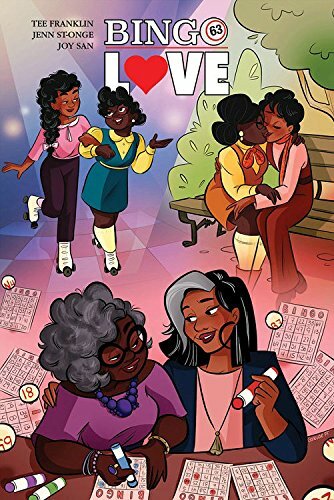 TL;DR - This comic is exactly what I hoped for when I heard about two grandmothers of color getting a second chance at the love of a lifetime. It's cute and sad and endlessly romantic. I hope it sells like hotcakes. 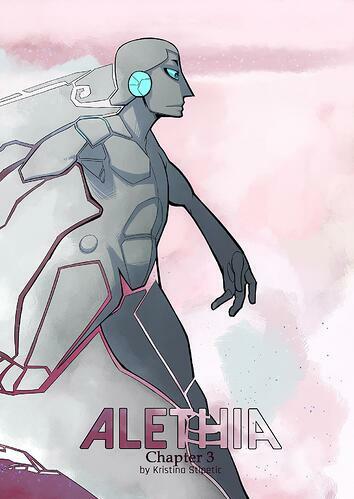 Buy it at your local comic shop or bookstore! Originally published in French as Le bleu est une couleur chaude, Blue is the Warmest Color is a graphic novel about growing up, falling in love, and coming out. Clementine is a junior in high school who seems average enough: she has friends, family, and the romantic attention of the boys in her school. When her openly gay best friend takes her out on the town, she wanders into a lesbian bar where she encounters Emma: a punkish, confident girl with blue hair. Their attraction is instant and electric, and Clementine find herself in a relationship that will test her friends, parents, and her own ideas about herself and her identity. Vividly illustrated and beautifully told, Blue Is the Warmest Color is a brilliant, bittersweet, full-color graphic novel about the elusive, reckless magic of love. It is a lesbian love story that crackles with the energy of youth, rebellion, and desire. First published in French by Glenat, the book has won several awards, including the Audience Prize at the Angouleme International Comics Festival, Europe's largest. 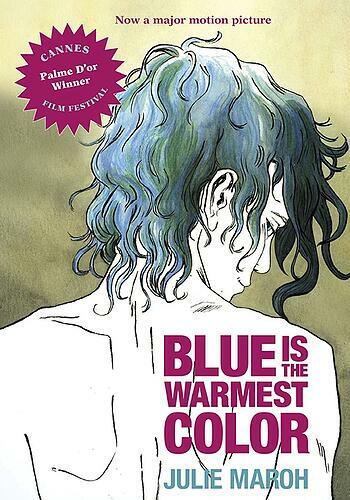 BLUE IS THE WARMEST COLOR was recommended to me by an instructor as a masterwork of sequential art, so when I picked it up, I had high expectations. It's also won several awards and been made into a movie, which is rare for non-cape graphic novels. It's a lesbian coming-of-age story that starts and ends with pain, but the romance is beautiful and immensely moving. I was reminded of the work queer communities have done to get us to this place of openness. Yes, there's much work to be done, particularly with and for the trans community and for PoC in queer spaces. But to be taken back to the not-so-distant past as we follow Clementine through her journey of self-awareness and self-acceptance in the 90's? Oof. Spoiler: Clem's parents kick her out at age 17 when they find out her best friend is really her lover. I know that still happens today, but maybe a little less frequently? I can't speak to gay culture in France today, but in the US it's improved. 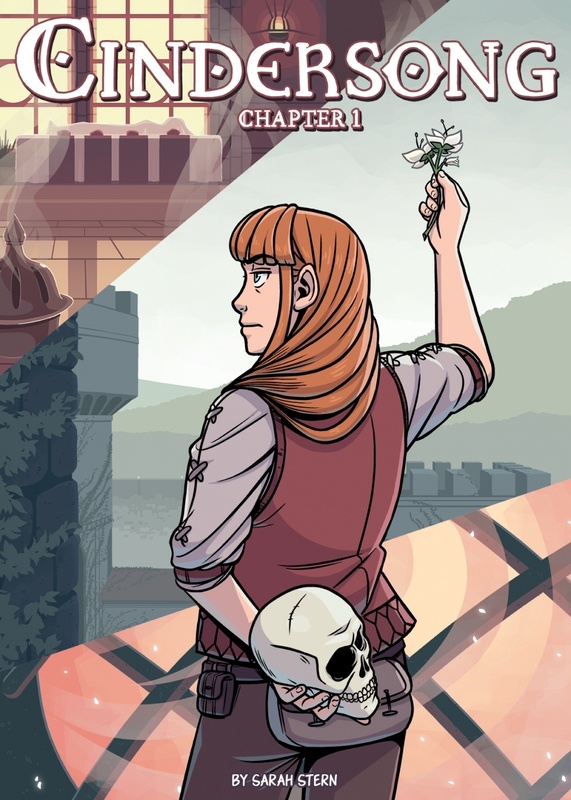 This is one of those stories in which one of the queer protagonists dies, but it's not because she's queer. This isn't a spoiler - the book opens with Emma visiting Clem's estranged parents following the funeral for Clem. Most of the narrative is told as written in Clem's handwritten journal, giving Emma and the reader a look at Clem's emotional journey. I was weeping at the end of the book, but I'm not sorry to have read it. It's not going to give you the feeling of Brokeback Mountain or other stories that mine gay pain for emotional power. As for the art, Julie Maroh makes interesting and successful choices throughout. The only pop of color in the book is blue. Several pages have no written dialogue, giving facial expressions and action more weight. Maroh gives readers close-ups of Clem's smile after her first positive sexual interaction. We can feel the joy with her, just as we later feel her intense sadness. Emma is best depicted in the opening and closing scenes of the book, after Clem has passed on. Only then is Emma given the freedom to have her own story told, which makes sense considering that the entire middle is from Clem's POV. TL;DR - this is an excellent book. I'm glad I read it. It's not a traditional romance, since there isn't a Happily Ever After, but considering that the two protagonists have a solid 13 happy years together? I'm willing to bend my definition. 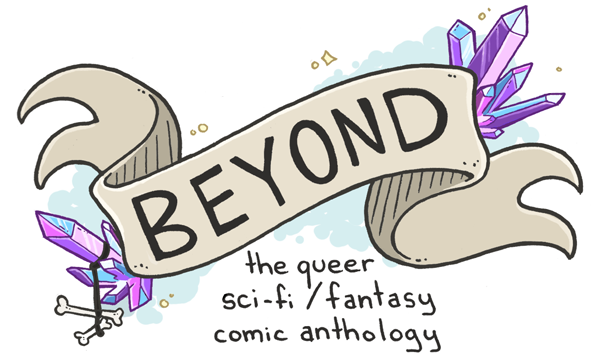 A webcomic about adventure, politics, magic, and lesbians. 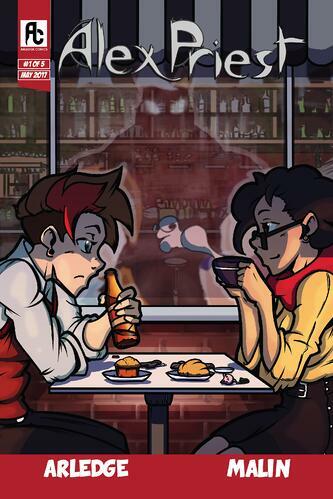 Combines the struggle of modern-day underemployed geeky twentysomethings with the ethical dilemmas of ownership and interspecies relations that you normally try not to think about while playing Pokémon.